Activated charcoal is a powerful absorbent (the term is actually adsorbent – with d – because toxins adhere/stick to it) and as such, it works to absorb many toxins and poisons, rendering them harmless! What is the 'activated' in charcoal? 'Activated' simply means that regular burnt wood was processed by controlled oxidation or high temperature steam. 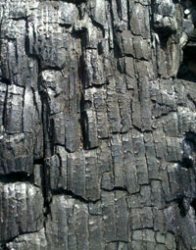 Plain burnt wood charcoal was used in earlier times - and it was known for it's medicinal benefits together with the discovery of fire. Activated charcoal has up to four times the absorption power. There are DIY instructions out there on how to produce activated charcoal yourself, but I wouldn't recommend it. You can easily find it for purchase - at very affordable price... Regular burnt wood charcoal works well, also. Charcoal for detox is produced from hardwood trees or/and nut shells. Detoxification - Charcoal helps to purify and cleanse the body due to its amazing ability to attract poisons to itself. Heavy metals, viruses, bacterial and fungal toxins are absorbed effectively. As an antidote, activated charcoal is used in hospitals, both for its use in drug overdoses, and chemical poisonings. As an antidote, it has the amazing ability to attract poisonous substances to its surface and hold on to them until they exit the body. Charcoal absorbs like a sponge, and renders poisons harmless. One teaspoon of charcoal has a surface area of more than 10,000 square feet (hard to imagine...) This unique feature allows it to absorb large amounts of chemicals and poisons. Put two tablespoons of activated charcoal into a liter of water. Close the bottle and mix well. Let the mixture sit until the gritty stuff settles. Pour off the water into another empty jar and discard the charcoal that has settled to the bottom. The mixture is now ready to drink. You can use this mixture in an infant's baby bottle, for colic. Dilute with more water if necessary. As long as a suspension is stored in a closed container, the potency of the suspension will be preserved. Drink this mixture first thing in the morning. Try this for a few weeks and see how much better you feel! Charcoal powder must be stored in a tightly sealed container because it also absorbs impurities from the atmosphere. If kept in a glass jar or can, charcoal will store indefinitely. Mason jars with seals are ideal for storage. Externally, charcoal is effective for itchy skin, infections, gangrenous ulcers, insect bites and stings. Charcoal poultices or band aids draw toxins and poisons out through the skin tissue. Instead use a poultice application, which filters out charcoal pigment and allows the healing moisture to go through. Make a poultice by mixing activated charcoal with a little water. Spread on a cloth or a paper towel - 'close' the poultice with the remaining cloth - and apply to the affected skin area. It is important to keep the poultice moist in order to be effective. Cover the bandage with plastic wrap or bag. Keep it in place over night. Discard the poultice when done. Charcoal is harmless when ingested, inhaled or when it comes into contact with the skin. No allergies or other side effects have been recorded.